With the winter months coming in, the beach cities see a decrease in foot traffic. But places like Santa Monica have so much more to offer than just its warm sandy beaches during the summer. 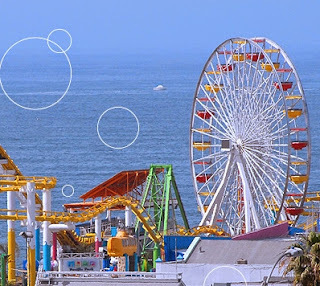 Home of the real “Popeye”, Olaf C. Olsen, the Santa Monica Pier is rich in history. Constructed is 1909, it was an instant success as the first ever concrete pier; it has since collapsed and been rebuilt. In 1975, when council members threatened to demolish, Santa Monica voters declared the pier safe and voted in a proposition that saved the pier forever. A reconstruction commenced in the late 1980s and completed in the early 1990s. Now here stands this great monument in the ocean, topped with a variety of retail, dining, and entertainment attractions, as well as a police substation and the world-class amusement park, Pacific Park. Enjoy a dozen rides, midway games, ocean front specialty food outlets and seaside shopping. Underneath the pier is the Santa Monica Aquarium. They have more than 100 species of marine animals and plants that can all be found in the Santa Monica Bay. With tons of hands on exhibits and so much to see, the aquarium is a great place to go for an afternoon. If you want to pick up ale, a small walk around the corner is The Common Ale House. Every table has a Connect Four and Jenga to encourage socializing and free popcorn for customers. It is the perfect place to enjoy the nightlife of the pier after dark. For more information, visit all of their websites. Picture courtesy of Pacific Park.